By integrating video and data into nearly all of our offerings we want to promote women's football, engage players and evolve the game. Remarkables aims to be the home base for all female footballers in South Africa, whether they are beginners or aspiring professionals. 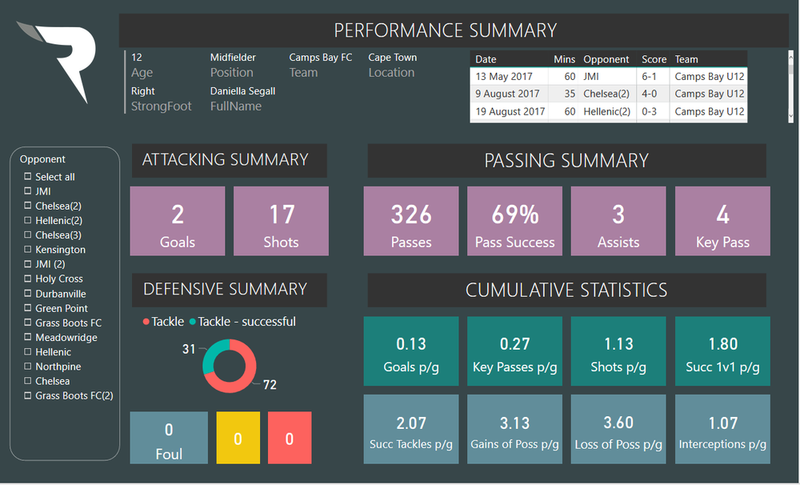 Our offerings below give further insight into player performances and provide a unique service to female footballers throughout S.A! We host regular 5-a-side tournaments for clubs and schools throughout the year. All matches are recorded and each team receives the match videos, plus their teams stats from the tournament! Great for internal team-building too! Off the back of the 2010 world cup, a group of twenty five year old female students from the Architecture masters class at the University of Cape Town decided they were bored of watching their male classmates play 5-a-side every week, and wanted to play themselves. None of them had played football previously because they went to traditional South African schools where football was not a school sport (even for the boys) so they asked one of their classmates, Mark to coach them – hence the name, Remarkables. Over the years, this has grown into what it is today; a football community for women across the country! Click the image to start designing your kit! What are everyone's thoughts on the #movewithshield chat earlier? We unfortunately missed it. Objectively, was it constructive?? Go follow @copa90 ! One of the best channels out there. It's not mens football, it's not womens football - IT'S FOOTBALL!